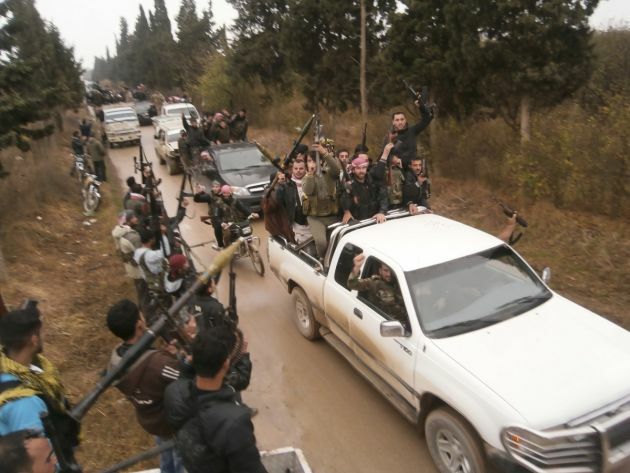 (Photo: REUTERS / Shaam News Network / Handout)Free Syrian Army fighters are seen after clashes with forces loyal to President Bashar al-Assad, in Qasseer near Homs November 19, 2012. BEIRUT, May 6 (Reuters) - The timing of an evacuation of rebels from the central Syrian city of Homs under a deal with government forces has not been set and could still take days to arrange, the provincial governor said on Tuesday. The withdrawal of the insurgents from Homs - a city once called "the capital of the revolution" - would amount to a major symbolic victory for Syrian President Bashar al-Assad but has been delayed since a ceasefire was agreed on Friday. Rebels have held out in the Old City district and several other areas despite being undersupplied, outgunned and subjected to more than a year of siege by Assad's forces. Homs governor Talal Barazi said arrangements for any withdrawal would take time and declined to say when it would likely happen. "The conditions are helpful and the atmosphere is suitable for achieving positive steps toward settlement and reconciliation and the exit of armed groups, but we have not set a date yet," he told Al Manar television, run by Assad ally Hezbollah. "The next few days will witness, God willing, steps like this, and we hope there will be a date soon," he added. The reasons for the delay were not immediately clear, but the pull-out is part of a multifaceted arrangement that also includes allowing food and medical aid into the largely Shi'ite towns of Nubl and al-Zahraa in the northern province of Aleppo which have been besieged by rebels for more than a year. The rebels fighting to overthrow Assad are overwhelmingly Sunni Muslim, while the president's allies include Shi'ite Iran and Lebanese Shi'ite movement Hezbollah. Assad is an Alawite, a sect derived from Shi'ite Islam. Britain-based monitoring group the Syrian Observatory for Human Rights said the United Nations and local councils had mediated the talks between rebel groups on one side and government forces, loyalist militias, Hezbollah and the provincial government on the other. Representatives from the Russian and Iranian embassies had been present, but it was not clear if they were taking part in the negotiations, the group said. The Observatory said the government would take control of the al-Waer neighbourhood in addition to entering the areas of Juret al-Shayah, al-Qarabis, al-Hamidiya, Wadi al-Sayih and the Old City in Homs. The fighters would be allowed to keep light weapons to defend themselves against any breach of the agreement, it said. More than 150,000 people have died in the rebellion against Assad. Millions more have fled their homes and the government has lost control of swathes of territory across the north and east. Fighting regularly kills over 200 people a day. Despite the carnage, Syrian authorities have scheduled presidential elections for June 3, a vote likely to give Assad a third term in office. Assad's opponents have dimissed the election as a farce.